Cruickshank, Justin. “Reflections on Problems, Politics and Knowledge: Replies to the Discussants of Democratic Problem-Solving.” Social Epistemology Review and Reply Collective 6, no. 12 (2017): 25-38. Vernon, Richard. “Evanescent and Embedded Agents.” Social Epistemology Review and Reply Collective 6, no. 10 (2017): 4-10. Benton, Ted. 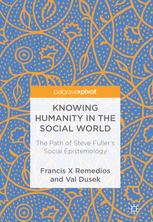 “Some Comments on Cruickshank and Sassower’s Democratic Problem-Solving: Dialogues in Social Epistemology.” Social Epistemology Review and Reply Collective 6, no. 10 (2017): 60-65. In this piece, Justin Cruickshank of the University of Birmingham responds to recent critiques published at the Reply Collective of his recent book, Democratic Problem-Solving. Because of its length, we have split his response into two parts. This is the second. Benton holds that Popper’s philosophy of science cannot meaningfully lead to a social and political conception of problem-solving given the latter’s difference from experimental activity in a laboratory. Social policy changes cannot be analogous to a critical problem-solving dialogue in science where a conjecture is refuted and a new theory then sought, because what constitutes a refutation and indeed what constitutes a problem are deeply normative and complex matters. Furthermore, in practice, policy-implementation is more like “utopian social engineering” than “piecemeal social engineering” because policies are imposed to fit with party political ideological commitments, with scant regard for their problematic consequences (Benton 2017, 63). Benton then argues that I am caught in a catch-22 when the reforms a more dialogic democracy could bring about require an institutional context which presumes the existence of a dialogic democracy that does not exist. How can dialogic democracy work when the conditions for it do not exist and if the conditions for it existed there would be no need to call for it? To this, I argue here that there has to be a divergence in politics between mainstream politics and radical politics. Horizontal dialogue between groups of lay agents could entail pressure to limit harm from the state by, for example, mobilising against “austerity”-driven welfare cuts that are killing people, but ultimately people will need to remove the state and capitalism. The conditions for people to this can develop from existing problems concerning poverty and exploitation. Consciousness can be raised by different groups in dialogue with each other realising the problems they face stem from systemic issues and are not discrete anomalies in an otherwise functional and legitimate social order. This does not map directly onto a falsificationist experimental method. It does though correspond to a dialogue that rejects authoritative sources, including public intellectuals seeking the types of reforms Sassower envisages, and which uses criticism to replace the prevailing justifications of the existing order. 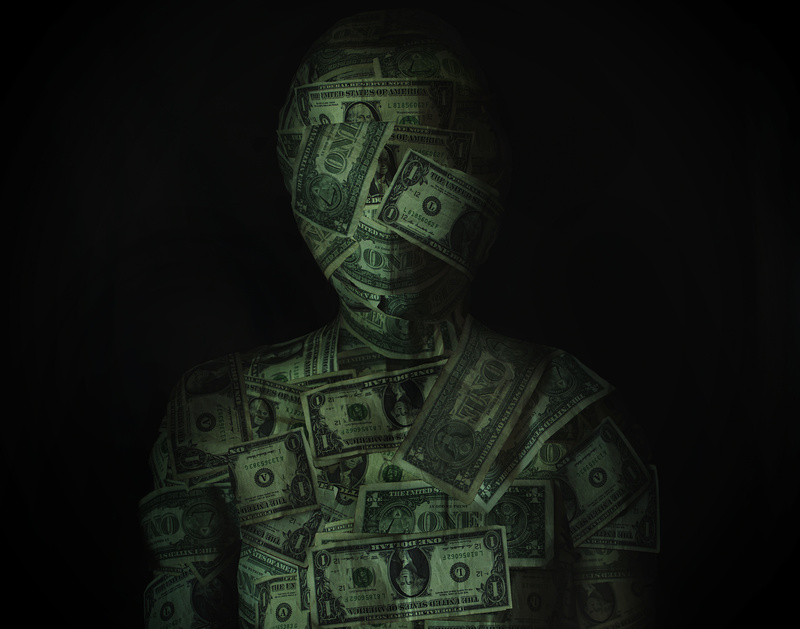 Such justifications would appeal to human nature, “pragmatism” (there can be no change) and neoliberal-individualist “justice” for the “hard working individual”, which defines human nature to fit the market which is actually constructed to fit corporate interests, with wealth distribution to the richest 1% being masked from lay knowledge. Bacevic argues that while she is more sympathetic to the anarchism Chis and I espouse, she would prioritise liberal democracy over epistemic democracy, because of a concern with right-wing populism (2017, 52). Prioritising a plurality of voices is fine unless fascists then use it to spread hate and gain power. 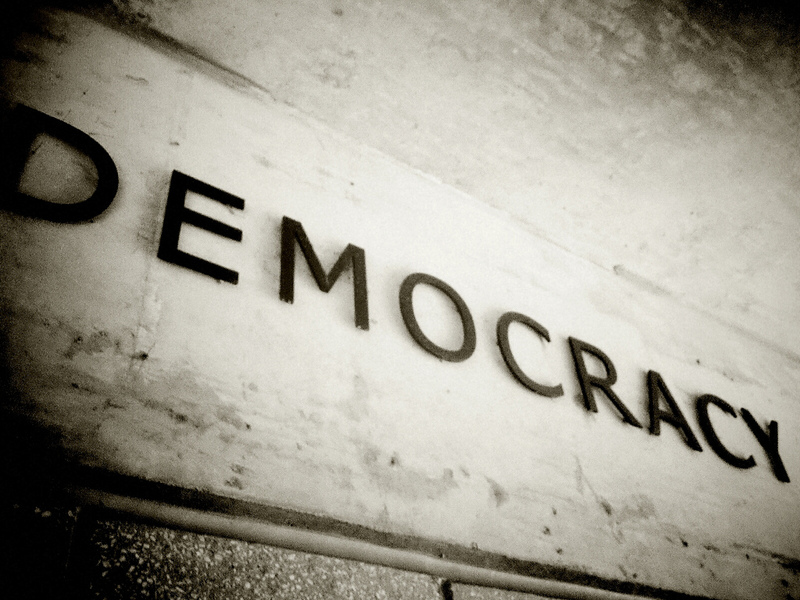 The debate has to be policed to fit within a liberal-democratic institutional and normative framework. Bacevic’s concern is well-placed and she is aware that obviously the epistemic-dialogic freedoms according under liberal democracy, despite being less extensive than those proposed for an epistemic democracy, can still facilitate the development of aggressively nationalistic and right-wing views. To suggest a way of dealing with this I will turn to Kemp’s response to the book. Kemp notes how I address Reed’s concern about problem-solving being an attempt to engage in a technocratic endeavour by arguing that for Popper all knowledge is mediated by social conventions and so admitting that problem-solving in social and politics matters is conceptually mediated does not take us far from Popper’s conception of science. Indeed, while some see Popper as a technocrat and positivist others, like Newton-Smith (1981) and Stove (2007 ), see Popper as an “irrationalist”, because he argued that scientific decisions are influenced by social conventions: we decide to accept evidence A as a falsification for theory B because of convention C, rather than because raw reality falsifies theory B.
Kemp (2017, 27-28) also correctly notes a change in what problem-solving can mean when I move from the original article to the rest of the book. Originally I used the term in an interchangeable way with “adaptation”, which could imply that a problem had a definitive and objective solution waiting to be found, but then change to use problem-solving in such as way as to also imply it is as much about ‘problematizing’ as problems, which allows for a more open-ended approach. To see problem-solving in terms of conceptually mediated problematizing means the debate can always focus on the terms of reference used to define and try to solve problems, and the reasons why some definitions are chosen over others. Kemp, following Max Weber, then raises the issue that a commitment to a particular definition or framing of a problem which stems from a normative commitment may entail a potentially debate-stopping dogmatism that is beyond reason. For Weber, values where wholly subjective and so beyond rational dialogue, with definitions of problems therefore benign beyond rational dialogue. Kemp argues that such a view need not be adhered to (because people can be open to rational debate about values) but notes it does raise an important question concerning how to find a balance between imposing framings on others (Rortian humiliation) or just submitting to others’ framings (2017, 31). This resonates with Bacevic’s concern about epistemic dialogue entailing the suppression of voices if the far right were able to gain traction in an unpoliced dialogic sphere. To deal with this balancing act, Kemp suggests basing a “non-impositional dialogue” on the search for anomalies, with “solutions” to problems being “coherence-expanding reconstructions” (2017, 32). One way this could be engaged with, I would argue, is to undermine the claims by neoliberals about increasing individual freedom and neoconservatives about bolstering national power and security by showing how neoliberalism serves corporations and now neoconservatism has a contempt for ordinary people and serves elite interests through war and economic colonialism. In pursuing this, one could explore the funding of the Henry Jackson Society and publicise how members of this, including Michael Gove (a Tory MP) and Gisela Stuart (a former Labour MP), sway politics in a way that is driven by a commitment to a ‘think thank’ most people have not heard of, and which is committed to pursuing elite interests. To return to Bacevic’s concern, I would say that policing dialogue to accept liberal democracy may be more of a problem than she realises because the terms of reference offered by some elite groups may be designed to smuggle in radically right-wing policies and ideas, without people being aware of this. Brexit, for example, was presented as offering a way to protect the NHS by putting £350 million a week from the EU into the NHS, but not only was this denied immediately after the referendum, but many Brexit supporting politicians want a ‘hard Brexit’, to reduce public services and create a deregulated low (corporate) tax haven for transnational capital. An elitist policy was pursued by populist means. When it comes to the problem of right wing populism being unregulated with a more unpoliced epistemic democratic approach, the response could be that the supporters of the right could be engaged in slow dialogue to illustrate the anomalies and inconsistencies in their positions and differences in interests between the elite and the lay audience meant to support them. Obviously, that would not be easy but it is not an impossible task. The alternative may be that the neoliberal and neoconservative right shift the terms of reference, or political “common sense”, with increasingly right-wing – including nationalistic and xenophobic – ideas dominating the political mainstream within a liberal democratic framework. On a related note, I wrote a piece for the SERRC (Cruickshank 2017) which argued that elites were trying to naturalise hierarchy and get people to see others as “things”, with critical pedagogy offering one way to tackle this. Vernon drew a useful contrast between epistemically conceived politics and an interest-based politics (2017, 5-6). 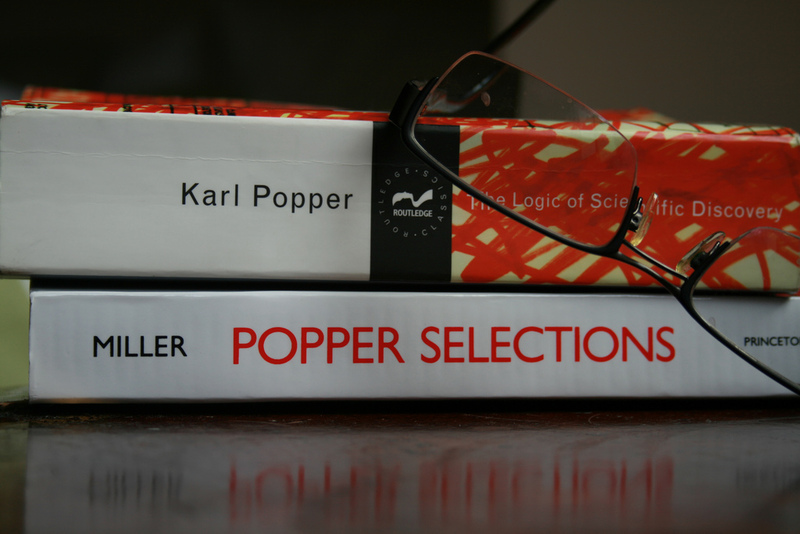 Popper developed a “subjectless” epistemology for science, whereby the focus is on ideas being publicly tested, rather than the authority of the idea-holder. The political application of this broadly fits within the ambit of deliberative democracy, where the focus is on competition between ideas and not between interest-driven persons (2017, 5). Rorty, by contrast with Popper, did focus on interests, Vernon argues. Although Rorty recognised some role for cultural and identity politics to increase our sense of “we”’, it ended in the fetishism of theory, when change comes from large scale collective organisation serving an set of interests, such as trades unions (2017, 6). While Vernon thinks Rorty is stronger than Popper in recognising the role of interests in motivating agency and progressive change, he does criticise Rorty for trying to posit what I would term a meta-interest, in the form of patriotism, preferring Popper’s open society, to any notion of a closed “we”. For while Rorty wants to expand our sense of we, patriotism, even a liberal minded patriotism, defines interests in a zero-sum way ultimately, with “our” interests being different from “theirs”. In the age of Brexit, the Trojan Horse hoax and Trump, I would argue that Rorty’s pragmatic bounding of an inclusive we along the national boundary is dangerous and potentially reactionary. Rorty’s sense of we could exacerbate the problem of a dialogue policed to conform to liberal democratic tenets actually being subverted by elite interests pursuing very right-wing politics with a liberal-democratic veneer. Nationalism is a potent and fictitious sense of identity and one that is very effective in serving elite interests via populist rhetoric. Vernon also notes that Rorty is stronger on the argument about the need to recognise others as worthy of respect. This means recognising others as “like-us” by increasing our sense of solidarity and doing what we can to decrease socially acceptable sadisms. In a subject-less epistemic democracy there can be no basis for such respect and the only focus is on the best argument defeated and displacing the inferior argument. Assuming there were universally agreed criteria for such assessments to be affected, the problem would still remain that arguments stem from persons and persons as persons deserve respect. A vote may decide an outcome but behind that outcome lie people with views different from the outcome and they will not turn into cognitive and emotional tabula rasa with a vote wiping away previous convictions. Vernon is correct to argue that we need some notion of interests shaping politics, to recognise that even if some see politics as the “free market of ideas”, such as Popper with his conception of science as perfected liberal democracy and Sassower with his account of public intellectuals as “gadflies” serving a public hungry for better ideas, interests shape the formation of policies and the formation of arguments. One does not have to be a determinist to hold that interests will play a role in argument, deliberation and acceptance of policies and ideas. This was implicit in my arguments about people using horizontal dialogue to reject the elite – the elite pursue their interests which run counter to those of the majority. Vernon is also correct to argue against the subjectless approach to democratic dialogue. This is why I argued for slow dialogue in place of Popper’s speedy dialogue. To be ethical for Popper is to improve oneself as fast as possible to run away from any hint of dogmatism, but this is a very individualistic and detached ethical position, which is odd coming from someone who advocates a subjectless epistemology – “epistemology without a knowing subject” (Popper, 1972). In knowledge we are shaped by conventions such that falsifications are mediated by conventions, but ethics unlike knowledge remains a radically individualist endeavour. In contrast to speedy dialogue, slow dialogue allows for the engagement with those who have very different views and, as my position did not see voting as the closure of a dialogue, this can allow for slow but significant change over time. In other words, slow dialogue presumes a level of respect to motivate it in the first place, and political dialogue is not terminated when policy decisions are made, because it concerns lay agents who see their interests are not directly aligned with the state. In talking with others about problems, policies could be discussed, but no policy would be a definitive solution to a technocratic problem. Before considering Benesch’s criticism of my arguments about the speed of dialogues I will note that while Vernon states that he is not aware of any list of suffering-reduction achievements noted by Popper, unlike Rorty who does furnish such a list, Popper does actually give us a list of suffering-reduction points to address. These are in the essay The History of our Time in Conjectures and Refutations (1963). Popper’s list of points cites: poverty, unemployment, sickness and pain, penal cruelty, religious and racial discrimination, rigid class differences, slavery, war and lack of educational opportunities (1963, 370). Benesch takes issue with my criticism of Popper for replacing justificationist speedy dialogues with critical speedy dialogues. He argues that: Popper carefully considered texts before replying; that critical dialogue in science and politics was a slow process of piecemeal change; and that Lakatos’ claims to correct Popper were erroneous because Popper spoke of metaphysical research programmes, which would be slow to change and which pre-empted Lakatos’s argument about research programmes and naïve and sophisticated falsificationism (2017, 50-51). In response to this I argue the following. The issue for Popper was not so much the “preparation time” but the nature of argument and dialogue itself: how much time one spent preparing an argument was, like the origin of an argument, not relevant for Popper, given what Vernon called the “subjectless” epistemology, which saw ideas, detached from people, in competition with each other. A quick defeat of an idea in an ideational permanent revolution would speed us along with epistemic and ethical progress. The latter is of course problematic, given that ethics pertains to a subject unlike ideas. The impersonal clashing of ideas would improve the subject who let this happen without using dogmatism to corrupt this competition between sui generis abstractions. It is often asserted that discussion is only possible between people who have a common language and accept common basic assumptions. I think that is a mistake. All that is needed is a readiness to learn from one’s partner in the discussion, which includes a genuine which to understand what he [sic] intends to say. 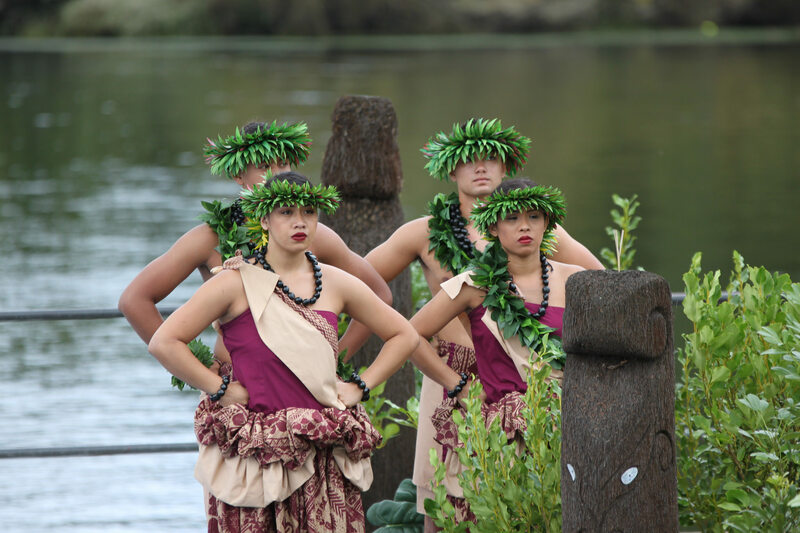 If this readiness is there, the discussion will be the more fruitful the more the partners’ backgrounds differ. Thus the value of a discussion depends largely upon the variety of the competing views. Had there been no Tower of Babel, we should invent it. The liberal does not dream of a perfect consensus of opinion; he [sic] only hopes for the mutual fertilization of opinions and the consequent growth of ideas. Even where we solve a problem to universal satisfaction, we create, in solve it, many new problems over which we are bound to disagree. This is not to be regretted (1963, 352). This may entail a critical slow dialogue because it would take time to understand those with different views and understanding would have to be worked at – one would need to work to get towards what Gadamer (2013 ) called a “fusion of horizons”. If this is accepted then I think it points to a tension in Popper’s work between an ethical reaction to dogmatism which linked ethics to speed and a later position which focused more on dialogue being about understanding others’ terms of reference in a condition where there was no universal normative language. This may also lead to a tension between the subjectless epistemology mentioned by Vernon and a more embodied epistemology. As regards the comment about Lakatos, I would say that Popper’s metaphysical research programmes were removed from scientific experiment unlike the core of the research programme for Lakatos. 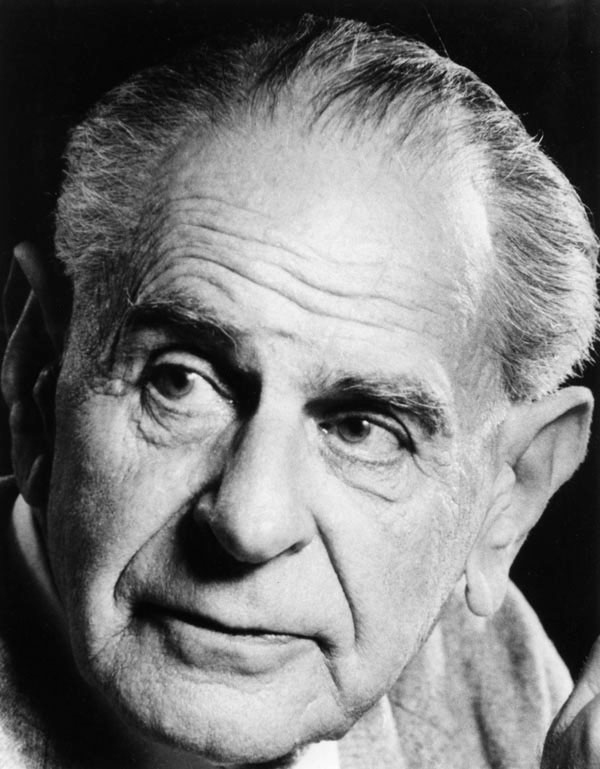 For Popper, metaphysical research programmes could provide inspiration for testable hypotheses, but were, from a strictly scientific point of view, irrelevant, because the origin of testable ideas was irrelevant; whereas for Lakatos, the core of a research programme would eventually be falsified. Metaphysical research programmes were, in effect, thus removed from critical dialogue, whereas a research programme for Lakatos was subject to slow change through critical dialogue changing the auxiliary hypotheses until the core needed changing eventually. Benesch also criticises me for incorrectly attributing to what I called “the optimistic Popper” a belief in majoritarianism or “popular sovereignty” as Popper called it, where the majority qua majority are justified politically and ethically (2017, 53). Perhaps I could have been clearer when I discussed this in the book (pp. 109-110), but I did not regard the optimistic Popper as holding to a majoritarian view. I argued that the optimistic Popper, like Dewey, would see democracy as an “ethical way of life” where there was always an on-going dialogue, which was not closed off by any formal process such as voting. 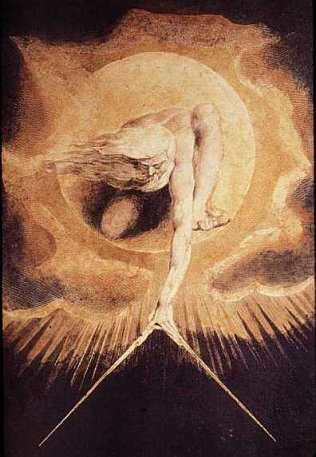 The argument about the Towel of Babel indicates such an outlook. By contrast, the pessimistic Popper wanted to restrict democratic engagement the infrequent formal act of voting and prohibit coalition governments and proportional representation. Falsification was to be applied to politics by a decisive vote on a party’s claim to have succeeded in implementing useful policies. Politics for this Popper was to be a monologic affair. Benesch makes a number of highly critical points about the chapter by Sassower and Jensen. I will not presume to speak on their behalf. Shearmur, and Bacevic, both note that the notion of a unified public sphere has been criticised, with Nancy Fraser, for example taking Habermas to task on this. I agree with these points. The public sphere is not a sphere of abstract individuals seeking purely cognitive epistemic engagement, but is rather a sphere where different groups have different interests. Shearmur also makes the important point that Popper’s friendship with Hayek did not translate into political agreement, given Popper’s “social democratic” leanings. Shearmur proceeds to criticise Popper’s concept of piecemeal social engineering by arguing that there is more role for the authority of specialist knowledge than Popper permits (2017, 11-12). Given the usual critical reading of Popper as an elitist technocratic (see the chapter by Reed in the book, and Benton’s review), it is strange to see an argument for what is in effect a shift from a more engaged democratic position to a more elitist one. Shearmur mentions the ghost of Plato (2017, 12), but given his critical appreciation of Hayek it may well be the ghost of Walter Lippmann that is at work here, with lay agents being seen a priori as too fickle and ignorant to engage in meaningful political debate. That is surely an essentialist dogmatism we can use Popper to reject. Archer, Margaret. Realist Social Theory: The Morphogenetic Approach. Cambridge: Cambridge University Press, 1995. Bacevic, Jana. “Solving the Democratic Problem”, Social Epistemology Review and Reply Collective 6, no. 5 (2017): 50-52. Benesch, Philip. 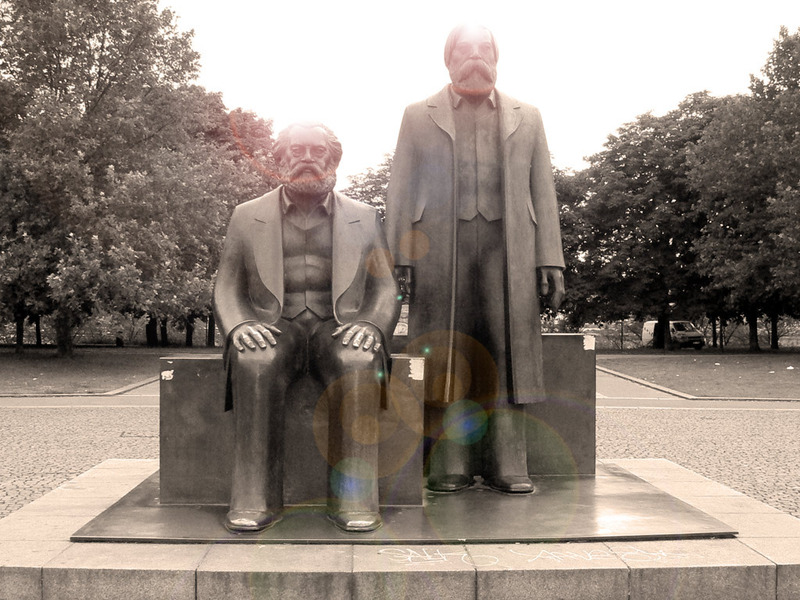 The Viennese Socrates: Karl Popper and the Reconstruction of Progressive Politics. Oxford: Peter Lang, 2012. Benesch, Philip. “What’s Left of Popper?”, Social Epistemology Review and Reply Collective 6, no. 9 (2017): 50-61. Benton, Ted. “Realism and Social Science: Some Comments on Roy Bhaskar’s ‘The Possibility of Naturalism’”, Radical Philosophy 27 (1981): 13-21. Benton, Ted. “Some Comments on Cruickshank’s and Sassower’s Democratic Problem-Solving: Dialogues in Social Epistemology”, Social Epistemology Review and Reply Collective 6, no 10 (2017): 60-65. Bhaskar, Roy. A Realist Theory of Science. London: Verso, 1997 (1975). Bhaskar, Roy. The Possibility of Naturalism: A Philosophical Critique of the Contemporary Human Sciences. 3rd edition. London: Routledge, 1998 (1979). Cruickshank, Justin. “Knowing Social Reality: A Critique of Bhaskar and Archer’s attempt to derive a Social Ontology from Lay Knowledge”, Philosophy of the Social Sciences 40 (4) (2010): 579-602. Cruickshank, Justin. “Meritocracy and Reification”, Social Epistemology Review and Reply Collective 6, no 5 (2017): 4-19. Gadamer, Hans-Georg. Truth and Method. London: Bloomsbury, 2013 (1975). Gunn, Richard. 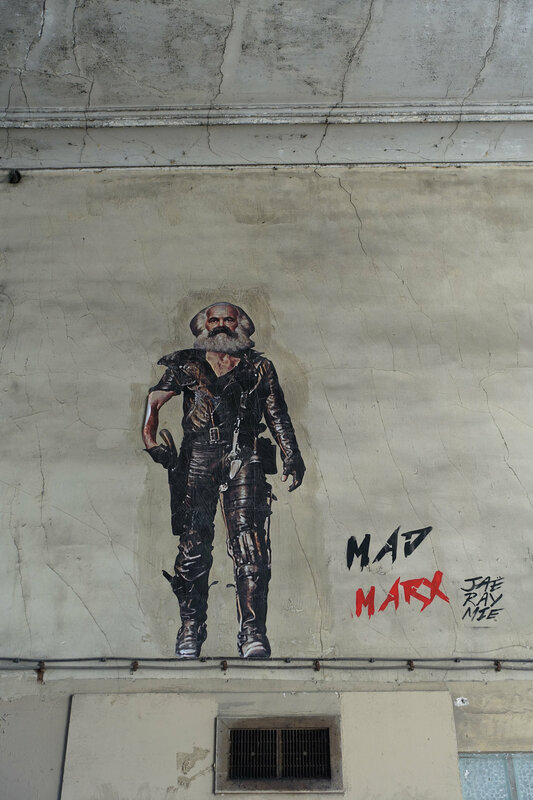 “Marxism and Philosophy: A Critique of Critical Realism.” Capital and Class 37 (1988): 87 – 116. Hacohen, Malachi H. Karl Popper. The Formative Years 1902-1945: Politics and Philosophy in Interwar Vienna. Cambridge: Cambridge University Press, 2000.
hooks, bell. Ain’t I a Woman: Black Women and Feminism. London: Pluto, 1981. Kemp, Stephen. 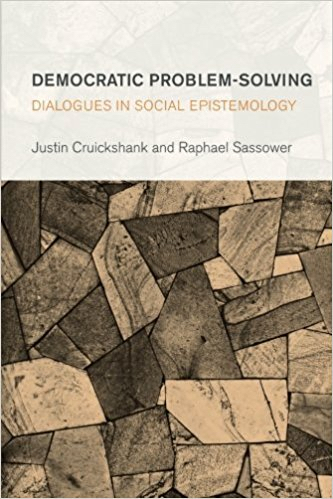 “On Popper, Problems and Problem-Solving: A Review of Cruickshank and Sassower’s Democratic Problem-Solving”, Social Epistemology Review and Reply Collective 6, no. 7 (2017): 27-34. Magill, Kevin. “Against Critical Realism.” Capital and Class 54 (1994): 113 – 136. Newton-Smith, W.H. The Rationality of Science. London: Routledge, 1981. Popper, Karl R. Conjectures and Refutations: The Growth in Scientific Knowledge. London: Routledge, 1963. Popper, Karl, R. “Normal Science and its Dangers.” In Criticism and the Growth of Knowledge, edited by Imre Lakatos and Alan Musgrave, 51-58. Cambridge: Cambridge University Press, 1970. Popper, Karl, R. Objective Knowledge: An Evolutionary Approach. Oxford: Oxford University Press, 1972. Reed, Isaac, A. “Science, Democracy and the Sociology of Power.” In Democratic Problem-Solving: Dialogues in Social Epistemology, Justin Cruickshank and Raphael Sassower, 69-79. London: Rowman and Littlefield, 2017. Rifkin, Jeremy. The Zero Marginal Cost Society: The Internet of Things, the Collaborative Commons, and the Eclipse of Capitalism. New York: St. Martins Griffin, 2014. Shearmur, Jeremy. “Popper, Social Epistemology and Dialogue”, Social Epistemology Review and Reply Collective 6, no. 9 (2017): 1-12. Stove, David. Scientific Irrationalism: Origins of a Postmodern Cult. 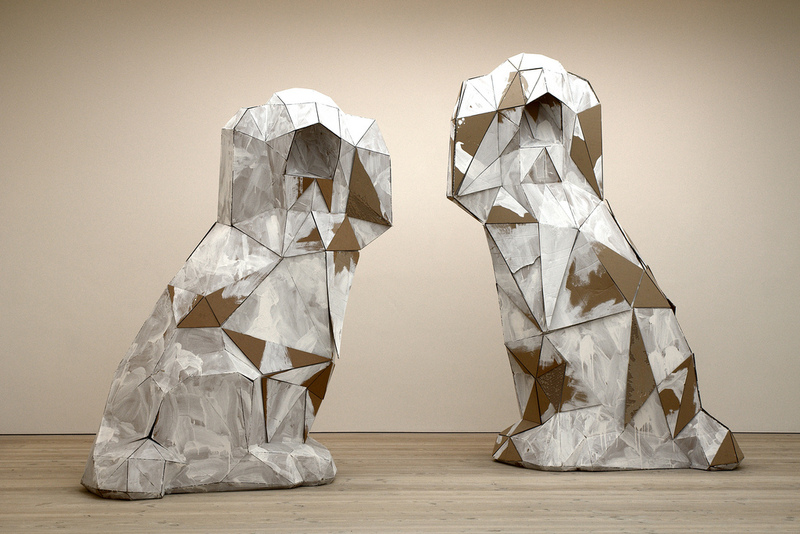 London: Transaction, 2007 (1998). Vernon, Richard. 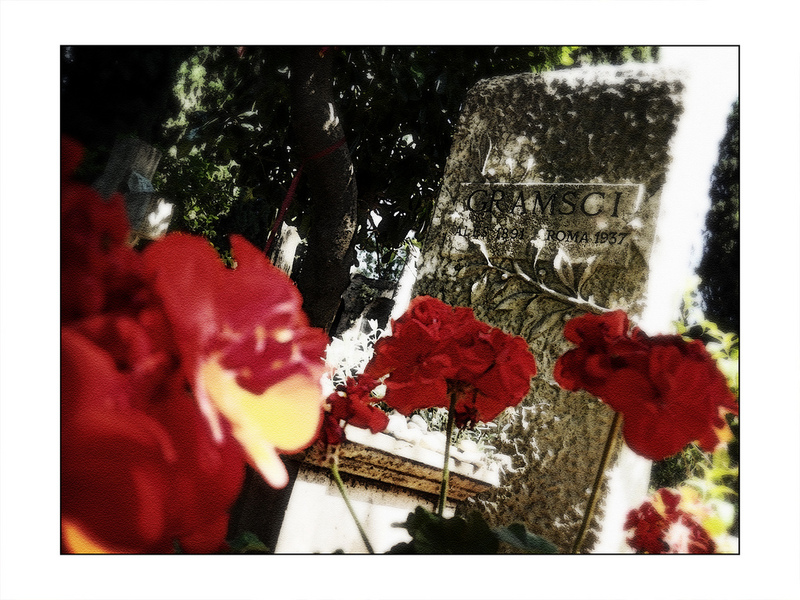 “Evanescent and Embedded Agents”, Social Epistemology Review and Reply Collective 6, no. 10 (2017): 4-10. In this piece, Justin Cruickshank of the University of Birmingham responds to recent critiques published at the Reply Collective of his recent book, Democratic Problem-Solving. Because of its length, we have split his article in two parts. This is the first. In contrast with Benesch, who argued in The Viennese Socrates that Popper’s work supported a progressive politics, Benton seems to adhere to a popular reading of Popper as a Cold War ideologue who championed a technocratic approach to maintaining the status quo in contrast to any progressive democratic politics. Although Benton does not refer to Popper as a positivist, what comes across as his reading of Popper as a dogmatic liberal espousing a technocratic politics broadly fits the reading of Popper as a positivist, if one uses the contemporary definition of positivism which sees it as more encompassing than logical positivism. For Benton, Popper, if he did not fetishise science, did at least have a naïve conception of it as an objective fact-grinding tool that could also be applied to politics, with there being no recognition of the systemic problems within liberal capitalism. Structural criticism would be prohibited and in its place reforms to make the social order function more efficiently would be sought. Popper, as Reed (2017) as well as Benton, feared, would see change in terms of an engineer tinkering with a machine whose purpose was not to be questioned and whose problems could not be recognised. Benton thus finds it odd that Sassower (in some chapters) sought a radical reformist politics based on Popper and that I (/ Chis and I) argued for an anarchist politics based on Popper. It will be useful to make four points here. The first is that Hacohen’s (2000) book ‘Karl Popper: The Formative Years 1902-1945. Politics And Philosophy In Interwar Vienna’ undermines the case that Popper was a dogmatic Cold War liberal, at least in his early and mid-writing career (later I think he clearly did become more socially conservative). Hacohen’s case is that the Popper who wrote The Poverty of Historicism presented it post hoc as a critique of ‘totalitarianism’, in the form of Stalinist Communism and fascism, but it was written as an engagement with interwar socialist debates and it rejected the liberal belief in a defining human essence, in the form of a competitive human nature. Indeed, the Open Society also rejected the liberal capitalist idea that capitalism is ‘justified’ by being in accord with human nature. The second is that in the book I made a point about the reception context and how a received reading of Popper became established due to the social and political context, which failed to recognise all the potential in his work. This led me to distinguish a critical and more optimistic Popper from a more pessimistic Popper. Benton does not engage with the arguments about the possibilities offered by the critical Popper and uses the received reading of Popper to reject him and be incredulous at his use by myself (and possibly others too) to support a radical political position. The position I (/ Chis and I) develop goes well beyond what Popper’s intentions were but the case was not to excavate the essence of the real author but to see what potential there was in some of his work to develop ideas in a particular way. Part of this meant drawing on Popper’s rejection of appeals to authority in knowledge and Benton charges me with treating Popper as an authority. That is odd given that the approach to Popper is critical and that positions are not cut to fit a constructed Popper ‘essence’. Thus, after recognising how readings can gain traction, and how dialogue has to engage with affective and normative commitments, I criticise Popper for conceptualising dialogue in a speedy way and draw upon Gadamer to suggest the need to see dialogue as a slow process. There was not the space to develop the work on Gadamer but only to suggest it. The reason for this, which brings me to the third point, and which I think Benton may lose sight of, is that the book was not written as a normal monograph planned to move through steps to reach a conclusion, but was an open-ended dialogue which developed initially in the SERRC. The chapters were then re-written to add more sources and more detailed argument (with the Brexit chapter being written especially for the book because that happened after the SERRC exchanges), which may give the impression of a more ‘traditional’ book, but it was still following the lines of the original SERRC debate. I wrote the article on Popper and Rorty because I was interested in challenging conventional readings of their work and then the SERRC debate lead to the argument for open dialogue being extended to a range of political matters. Popper’s argument against authority in knowledge always remained important, as did the focus on disrupting a narrow and often incorrect received wisdom about Popper, but had it been written as a traditional book, it other sources would have complemented Popper. Fourth, the argument sought to develop a framework for open dialogue, which could include a wide variety of positions, including, for me, Marxist positions. 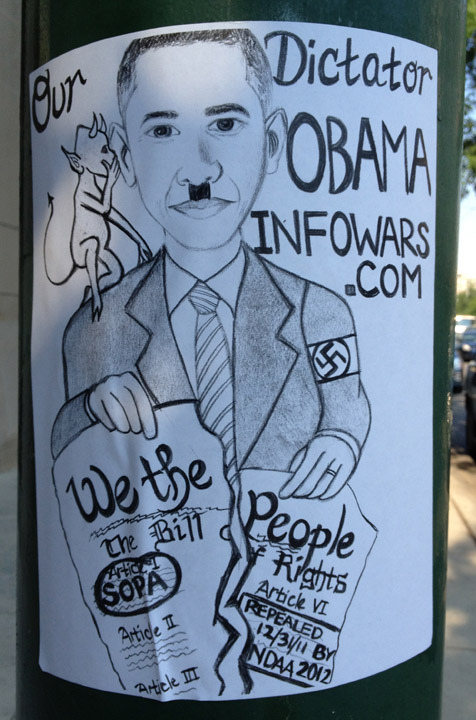 The case was not to use a Cold War liberal technocrat to ban Marxism and espouse anarchism. Rather, it was to use Popper’s work on authority and criticism to develop a position on open dialogue that could include many voices. 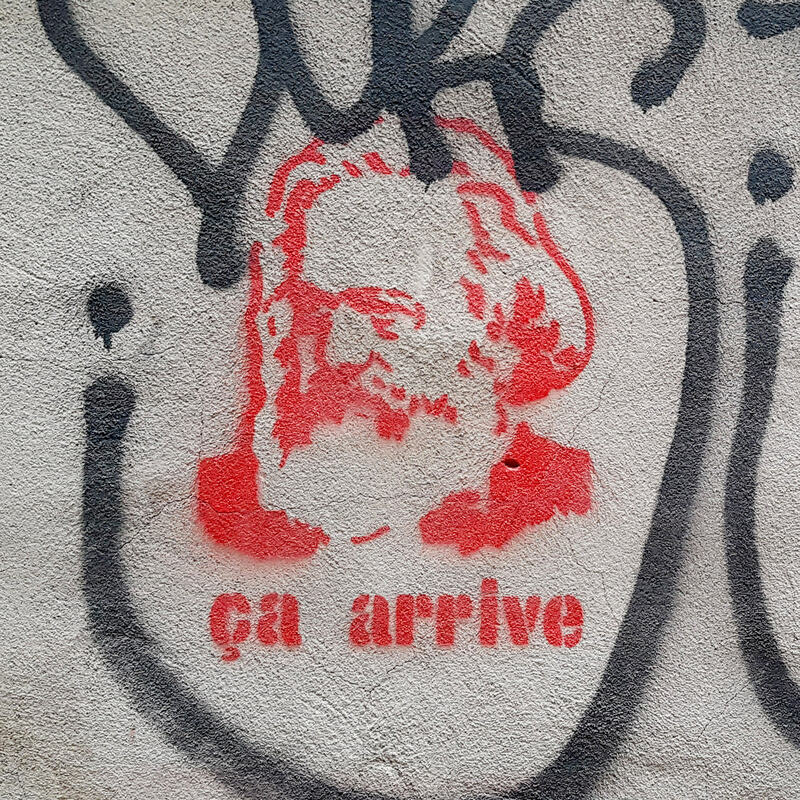 The anarchist position (influenced by Peter Kropotkin and Colin Ward) would be that traditions of mutual aid are important (with traditions thus not necessarily being regressive blocks on progress – a point Gadamer can be used to develop). These traditions ought not to be hermetic but rather they ought to motivate large scale collective pressure for major progressive change and this would come from, to use one of Rorty’s favourite terms, a ‘horizontal’ dialogue, between different communities of people facing different and similar problems. Examples of problems here, mentioned in the book, would be the housing crisis in the UK, the insecurity caused by the gig economy creating a middle-class precariat as well as a working class precariat, and the ethno-nationalist racism legitimised by the Brexit campaign and the Trojan Horse hoax. If one appeals to sources of authoritative knowledge then there can be no horizontal dialogue because one group would seek to legislate on what others’ ought to think and no intellectually progressive dialogue because events and data would be cut to fit a pre-existing epistemic, ontological, methodological, etc., commitment. The problem with Popper was though that he ended up fetishizing change and seeing ethics as a process of constantly negating one’s beliefs, which would actually entail philosophical scepticism and political apathy. As may be clear from Benton’s reply, he is a realist, so part of his discussion at least is motivated by a concern to defend realism and specifically, the neo-Marxist “critical realism” developed by Roy Bhaskar. I will now outline critical realism and say why I moved from this to Popper, using Popper to reject critical realism as a form of debate-stopping methodological essentialism, in articles in Philosophy of the Social Sciences. Bhaskar (1997 , 1998 ) argued for an anti-positivist naturalism, meaning he argued for the unity of the natural and social sciences, in terms of methodology, in a way that differed from positivist naturalism. Bhaskar argued that positivism committed the “epistemic fallacy” of reducing ontological questions about being into epistemological questions about how we know being. To overcome this we needed, he argued, to see science as developing knowledge in accord with ontological assumptions that in some way correspond to reality. Whereas positivism, for him, was based on implicitly assuming that reality was a “closed system” constituted by invariant empirical regularities, given its commitment to an empiricist theory of knowledge which stressed the role of direct observation, science was successful because it recognised that there are no such invariant regularities and presumed instead that reality is a “stratified open system”. This means assuming that causal laws that are unobservable in themselves interact in contingent ways to produce the changing empirical effects we can see. When it came to the social sciences, the problem was that there were no shared ontological assumptions about what social reality is. Therefore, Bhaskar had to legislate on what this may be and did this by rejecting structuralist determinism and methodological individualism which he held could not account for the social context conditioning agency, to link structure and agency. Social reality was constituted by structural emergent properties that conditioned but did not determine agency. Bhaskar (1998) noted that social structures were different from natural structures insofar as the former could be changed by human agency but went on to draw upon the ‘structuration theory’ developed by Giddens (1995 ) which ended up “solving”’ the structure-agency problem by redefining it as a problem of agency. For Giddens, and by extension, Bhaskar, structures were “virtual” because they only existed in agents’ heads as ‘memory traces’ until agents chose to act upon them – or “instantiate” them. Margaret Archer (1995) then sought to rescue Bhaskar from himself by rejecting Giddens and saying that Bhaskar’s argument could be saved by saying that structures were emergent properties that were dependent on agency in the past tense. That is, structures emerged from agents’ actions in the past and then become emergent properties that could condition agency and which were thus irreducible to agency. For Archer, individualism was an ontological position influenced by empiricism (because we can only see individuals) and this raises the awkward problem that Bhaskar would seem to be influenced by a philosophy he sought to reject. Archer tries to avoid this by defining the problem in terms of Giddens’ theory not being a form of individualism but a position that committed what she called “central conflation”, meaning the mutual conflation of structure into agency and agency into structure. This does not seem a tenable or meaningful definition of the problem though, given that structures have no existence separate from agents, and so it more accurate to say Bhaskar’s use of Giddens committed him to a form of individualism, as Benton (1981) actually argued. Critical realism has proved increasingly popular in social science, with social scientists keen to avoid positivism (often defined very broadly to include any quantitative research), interpretivistic and post-structuralist relativism, and individualism in the form of rational choice theory, using critical realism to explain events in terms of structure and agency. Critical realism became an orthodoxy for those unsatisfied with the extant orthodoxies. The problem I had with critical realism was that it was not critical but a type of dogmatic formalism (Cruickshank 2007, 2010). Despite holding that knowledge was fallible, the ontology was removed from critical revision based on empirical research and empirical research was cut to fit the concepts of structure and agency. The concepts of structure and agency were read into the data and then the data was taken to support the ontology used to explain it. Critical realism, I argued, thus begged the question. I found Popper useful here because while I did not agree with his treatment of Marxism, his critique of “methodological essentialism” and the search for justification via authoritative sources of knowledge was relevant here. The ontological commitment was treated as an authoritative source with the essence of social reality (namely structure and agency) being taken as justified with all observed events then being regarded as “verifications” of the prior ontological / essentialist commitment. Although Bhaskar hoped his work would offer a scientific Marxism based on realism, able to link structure and agency, unlike Althusser’s claim that structuralist Marxism was scientific and unlike the positivist conception of science, his work received significant criticism from Marxists (see for instance Gunn 1988 and Magill 1994). A major concern was the undialectical nature of Bhaskar’s ontology, which separated the categories of structure and agency from each other and from substantive-empirical processes, to create a meta-theory developed in abstraction from the processes it sought to explain. Rather than develop categories from the complexity of reality, seeing their interpenetration, two generic abstractions were developed and then imposed on reality, in an undialectical – or even undialogic – way. To be sure, Popper sought to police dialogue, erroneously in my view, but his argument that the recognition of fallibilism had to entail the use of criticism to change views dialogically, with there being no appeal to authoritative sources of knowledge (such as the authority of the senses with empiricism or methodological essentialist commitments with critical realism), was of key importance. When social science fetishizes the origins of knowledge to justify a claim or delegitimise it with ideology-critique or post-structuralist critique of discourse, it becomes a form of clericalism that detaches knowledge from substantive problems. Critical realism exemplified this far more than Popper, despite his (unPopperian) attempts to police dialogue, as, ironically, the Marxist critique of Bhaskar illustrated. Popper sought to police dialogue using problematic dualisms and Benton I think does the same. He offers us just realism and irrealism (2017, 61), with latter being problematic because it lacked “a robust recognition of the autonomy and independent causal powers of other people, institutions, material objects, organic beings and so on” and because it erroneously, for him, took any reference to reality to entail anti-democratic and authoritarian views. Benton does not clearly distinguish between Bhaskar’s critical realism and metaphysical realism. Popper argued for metaphysical realism but Bhaskar shied away from it. Metaphysical realism is just the claim that reality exists independently of us. It seems a common-sense position but it entails a sceptical rejoinder because reality is defined as that which always exceeds our knowledge of it. Benton holds that my position, in accepting this criticism of metaphysical realism, is irrationalist as well as irrealist because someone else can confirm the existence of objects once someone else leaves a room (2017, 61). Here Benton is following what Popper called the Winston Churchill argument for realism (1972, 42-44) but, as Popper, who was himself a metaphysical realism argued, this “does not prove realism” (1972, 43-44. Emphasis on original). The problem with the Churchill-Benton argument for realism is that as reality is defined, for metaphysical realists, as that which is independent of us, there can be no appeal to shared experiential knowledge to prove the existence of a reality that is separate from our (shared or lone) ideas of it. Moreover, Benton is guilty here of what critical realists regard as the epistemic fallacy, because he is defining reality in terms of others’ accounts of their knowledge of it (and knowledge arrived at from experience). Now critical realism is defined by Bhaskar as a form of “conceptual science” because instead of speculating on the nature of ultimate reality it arrives at its ontological assumptions for natural science at least, by deriving them from the implicit assumptions within the “transitive domain” of scientific knowledge. In other words, ontological questions about what reality is are answered by turning to a body of knowledge about reality. The realist ontology of natural reality thus commits what critical realists regard as the epistemic fallacy. By contrast the ontological claims about social reality are taken to be justified because they overcome structuralist determinism and the inability of agency to account for the context conditioning agency, with the avoidance of these problems then being taken to be the sufficient as well as necessary condition for justification. Such justification obviously rests on a non sequitur. Once the ontological categories are taken to be justified commitments they are then read into empirical events with the latter being taken as verifications of the commitments, which then commits the fallacy of begging the question. In addition to the problem of begging the question and being an undialectical form of Marxism, critical realism led to formulaic “applications”. Just as must research influenced by post-structuralism “found” all events to be expressions of discourse (with research verifying the prior commitment to the ontology of discourse determinism), so empirical research influenced by critical realism ended up redescribing events in terms of the categories of structure and agency. A rebranding of events using the favoured words (structure and agency) of the new stale orthodoxy was taken to be an explanation. Benton argued that I had a tendency to caricature the views of my opponents, and then defended Sassower’s arguments on public intellectuals by defending Gramsci, who Sassower cites briefly (2017, 64). I would agree that for Gramsci organic working-class intellectuals are engaged in substantive issues and that they are a wide group because it includes all those engaged in class struggle in their daily lives potentially. I would though raise the question about the term “intellectual” being redundant if it is applied to everyone. One can talk of people having an insight into their conditions and seeking change, but invoking the notion of intellectuals means invoking the notion of an intellectually privileged group. But the argument is not really a semantic one. If Benton wants, following Gramsci, to call everyone an intellectual, then I am happy to talk of a democratic dialogue between academic-intellectuals and lay-intellectuals, rather than academics and lay agents. The important issue is that a dialogic relationship has to eschew the conception that progress needs an epistemically privileged class, because that ultimately is monologic. And here both Popper and Rorty are correct to note the problems that arise when self-defining intellectual elites seek to legislate for others. It is interesting that Benton avoids engaging with the problems they raise concerning those deemed to be intellectuals, for there are real problems concerning intellectual fashions, dogmatism, elitism and secular-clerical mentality, not to mention the problems with those deemed to be intellects often coming from privileged groups. bell hooks (1981) argued black female intellectuals tended to be marginalised by black male activists and white feminists, meaning that the elitism of the concept is complemented in practice with an elitism of selection concerning who is recognised as an intellectual with a voice permitted to speak in the public sphere. However, using Gramscian terminology, it is the case that Sassower actually defended the use of “traditional” and not organic intellectuals. Sassower did have an expansive definition to include rappers etc. but did end up narrowing it down to academics with the task of academics as public intellectuals being that of acting as “responsible gadflies”. Academic public intellectuals should be paid for by the US government and US media outlets ought to host them because they would shift the focus, in their printspace and airtime, from celebrity gossip and mud-slinging between politicians to a more intellectual debate about social and political matters. Academic public intellectuals would be better placed to define problems and offer solutions by thinking in a deeper way by being freed from commercial pressure and normative commitments. The pursuit of the truth would guide them and they would float above sectional interests to arrive at the best / objective definition of problems and the best proposal for their solutions. But as Gramsci argued, no-one, including those positioned as “intellectuals”, can float about social and normative interests. Furthermore, Sassower implicitly treats the state as a neutral body open to the “best argument”, which is reminiscent of the classical pluralist model of the state, and the technocratic notion that problems are objective entities separated from normative commitments and the influence of class etc. This replicated the notion that while there can be a philosophy of knowledge there can only be a sociology of error, for it sees all social and normative influences as corrupting on the pursuit of truth. Now, in considering why Benton defended Sassower by defending Gramsci, we can note that Benton recorded Sassower’s definition of himself as a Marxist, despite Sassower also calling Marxists ‘rabid’ (and engaging in other polemic against “radicals”). The real issue here though is that while Sassower did envisage, briefly, a post-capitalist society, it was not a post-liberal society and nor was it a society that was based on a redistribution of wealth or a society that abolished class. It was not a socialist or communist society that he had in mind. Sassower drew on Rifkin (2014) to argue that technology may result in the cost of commodities becoming negligible and that with increased use of ICT younger people may prefer access to items over ownership of items. Sassower also held at one point that neoliberalism was not necessarily negative and that it needed to be assessed on its performance. In other words, the Marxism motivated no commitment to socialism or communism, or changing prior property distribution, but was an (undialectical) form of technological determinism which focused on consumption and not production contra Marxism. 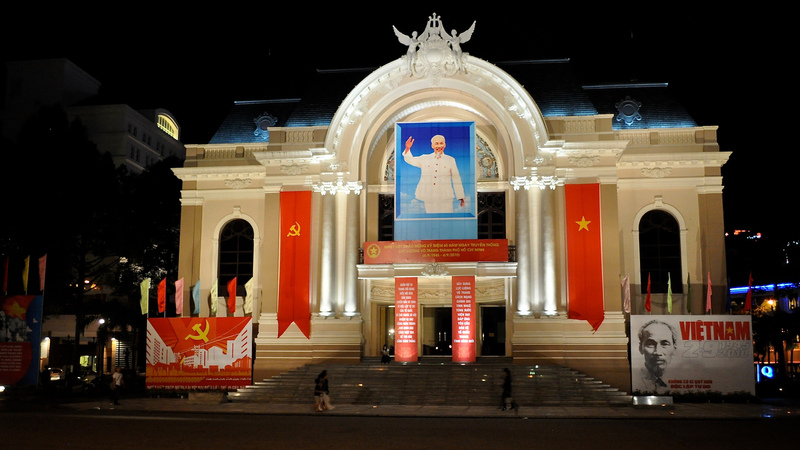 His “Marxism” also existed alongside the technocratic view that neoliberalism can be assessed as a potentially positive form of capitalism, in a fashion analogous to a (positivist value-free) experiment. Later Sassower argued against neoliberalism and this commitment to heterogenous positions may be intelligible in terms of a technocratic approach, whereby the search is for the best “objective” solution entails a move from a neutral approach to neoliberalism to a critical approach, and from considering neoliberalism, which claims to liberate the citizen as consumer (not producer-worker) to considering a consumer-focused post-capitalism to liberate the post-capitalist citizen-consumer.